It’s a very exciting time for Rollins as we begin year two of President Grant Cornwell’s presidency. 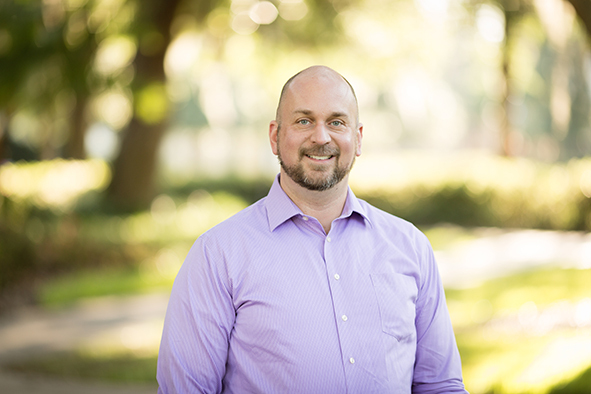 In the last 18 months, the College has appointed a new vice president for enrollment management, vice president for academic affairs and provost, and dean of religious life, as well as revamped its general education curriculum with the launch of Rollins Foundations in the Liberal Arts to create more well-rounded, community-minded students. And Rollins continues to top “best of” lists by publications such as U.S. News & World Report, The Princeton Review, Forbes magazine, and Bloomberg Businessweek. I am thrilled and honored to lead the Rollins College Alumni Association Board of Directors as president for the 2016-17 term. Together, with 30 other board members representing a broad array of generations, backgrounds, and geographic locations, we support Rollins by serving as ambassadors of the Rollins Alumni Network and facilitating meaningful opportunities for the alumni community to engage in the life of the College. The Alumni Board has an ambitious year in store with a multitude of activities and I am eager for the months ahead. At the start of the academic year, President Cornwell, in partnership with the Rollins College Board of Trustees, began a robust process of strategic planning with the campus community focused on strengthening Rollins’ market position and the integrity of the College’s mission to educate students for global citizenship and responsible leadership, as well as building a shared vision and purpose among the Rollins community. Members of the Alumni Board and I look forward to contributing to forthcoming conversations about Rollins’ future and supporting the strategic priorities of the College relating to alumni engagement and career and life planning for students and graduates. Focus on the Alumni Clubs program continues as the Office of Alumni Relations embarks on President Cornwell’s national Legacy & Vision tour, which will hit several cities coast to coast. Engaging the alumni community and extended Rollins family is a priority for President Grant and Peg Cornwell, and I encourage you to take this opportunity to meet Rollins’ 15th president and hear his reflections on the College’s past and future. We continue to support the case for giving to the College. Through monetary donations or volunteerism, the generosity and commitment of alumni makes a real difference in the experiences accessible to Rollins students, which only helps to grow the Rollins’ reputation as a leader in liberal arts education. This year, the Alumni Board will support the Class of 2016 in reaching 16 percent participation in giving to their 1st reunion class gift by matching all contributions, dollar-for-dollar, up to $10,000. It is incredibly inspiring to see the good work the students of R-Pride are doing to raise philanthropy awareness on campus, and after learning the Class of 2016 contributed the largest senior class gift in the history of Rollins last May, the members of the board and I saw this commitment to the College as a leap toward fostering a culture of philanthropy that starts as a student and continues as an alumnus. If you don’t already, I hope you will consider finding the right way for you to express your support for the College. Alumni Weekend is a beloved Rollins alumni tradition, and I invite you to come back to campus March 31-April 2, 2017, to attend the annual event. Whether you’ve never been before or attend every year, I hope you will come to reconnect with the College and old friends, as well as make new connections. I look forward to seeing you there!